Pamplona in the Spanish province of Navarra is renowned for the annual Running of the Bulls, popularised by Ernest Hemingway, and as being on the path of the Camino de Santiago. It is also home to the Universidad de Navarra whose Faculty of Communication has two strong links to BU. Associate Professor John Oliver of the Faculty of Media & Communication (FMC) is one of the leaders of the European Media Management Association (EMMA) which is very active in Pamplona and includes the university’s President. Professor Tom Watson of FMC collaborates with public relations historian Dr Natalia Rodriguez-Salcedo, a regular participant in the International History of Public Relations Conference held each year at BU. From November 23-27, Professor Watson visited the Pamplona university and spent time in its excellent archive researching the development of public relations education policies by European professional bodies from the 1950s to 1980. The investigations of both archives have led to journal articles and conference presentations by the two researchers, with another paper to come in 2016. “As archives are digitised, access to this basic material of communication history research will become easier but there is still nothing like leafing through paper files and finding the unexpected,” said Professor Watson. 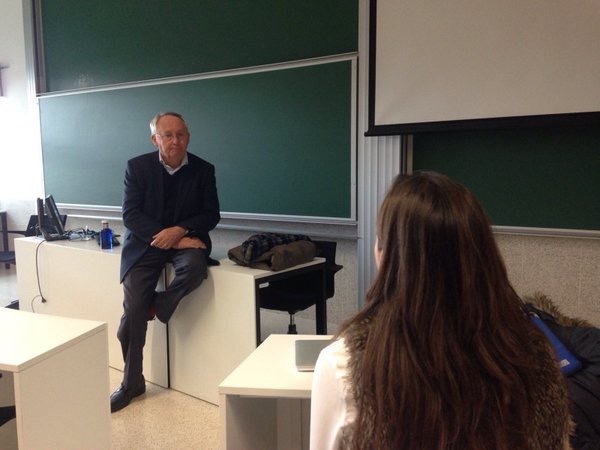 While at the Universidad de Navarra, he gave guest lectures to UG and PG students on management of corporate communication, crisis management and the measurement and evaluation of public relations. 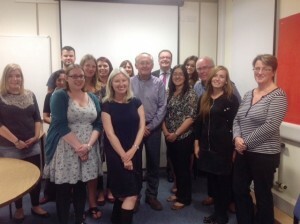 Professor Watson also discussed current developments in research assessment with staff in the Faculty of Communication. The need to link organisational objectives with communication strategy was the message that Professor Tom Watson of the Faculty of Media & Communication took to a Cambridge conference this week. 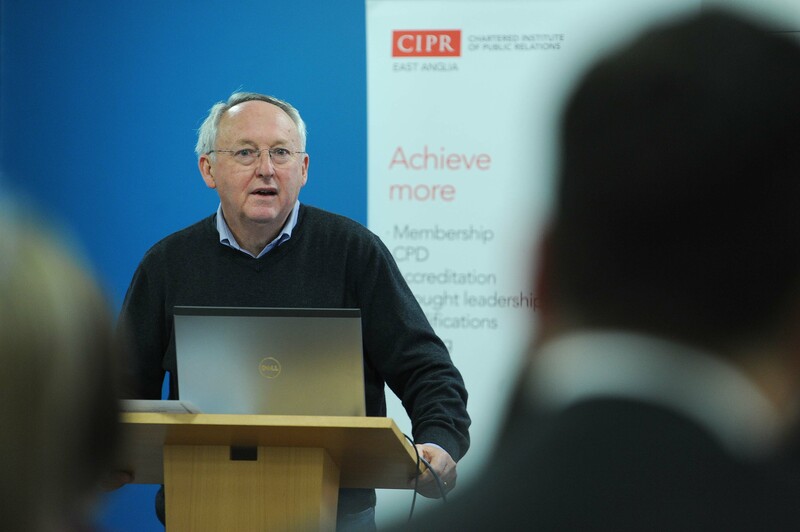 Professor Watson was speaking to the East Anglia conference of the Chartered Institute of Public Relations (CIPR), which is the lead professional body for PR in the UK. He based his presentation on research into public relations measurement and evaluation which was a BU Impact Case Study in REF 2014. 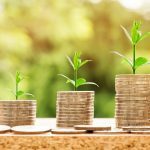 “All research on communication effectiveness and the creation of value from communication demonstrates that the closer communicators are to organisational goal-setting and performance management, the better the results in terms of reputation, business and engagement with stakeholders,” he said. 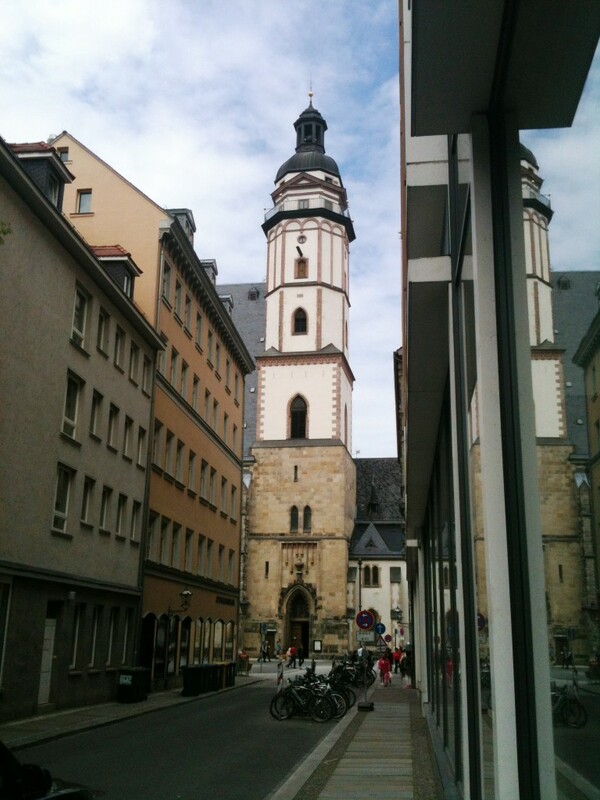 Professor Tom Watson of the Faculty of Media & Communication visited the University of Leipzig in Germany from June 7 to 12 on a FIF Erasmus visit. In addition to a seminar on the history of public relations to students on the university’s highly-rated Master of Communication Management programme and workshops on academic writing and Delphi method to doctoral research students, he spent time in the university’s archive. There he investigated the files of the German PR pioneer Dr Albert Oeckl, looking especially at Oeckl’s involvement with the International Public Relations Association (IPRA) whose archive is held at BU. 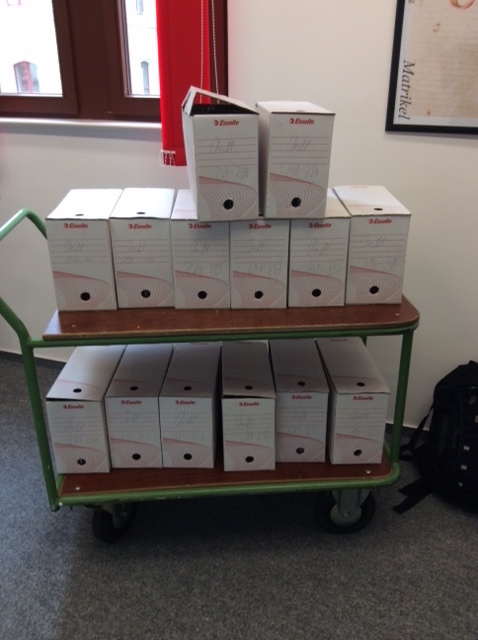 He was presented with a trolley containing 14 box files of material ranging from the late 1950s to the early 1990s (see Photo). In these, he found numerous papers and references to IPRA’s early work on the development of international curricula for university-level PR education. “The Archive’s staff was very welcoming and so helpful in identifying relevant material. Selected documents will used in future research on the formation of public relations studies around the world,” Professor Watson said. Professor Watson said that archive research was already influencing a major revision of the history of public relations that will become evident in the teaching of courses. In his Masters seminar, he presented outcomes of recent multi-nation research that challenges many existing texts about PR’s historical evolution. Representation of professions and employment takes many forms and is often shaped by books and visual and aural media. In the public relations field, characters such as Edina in Absolutely Fabulous and the foul-mouthed spin doctor Malcolm Tucker in The Thick of It are well known, as are terms like “PR success” and “PR disaster”, even though the events may have little to do with public relations practices or activities. 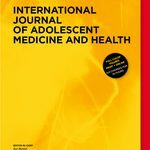 Apart from one US researcher, Professor Joe Saltzman of the University of Southern California, there has been little investigation of representations of public relations in books and entertainment media. 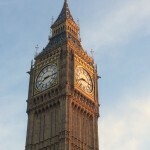 Working with colleagues in Australia, Sweden and the US, Professor Tom Watson of the Faculty of Media & Communication developed the PRDepiction blog: https://prdepiction.wordpress.com/​ in 2012. “We wanted to create a resource that would offer a catalogue of books, films, TV and radio, as well as articles, and encourage interdisciplinary research,” said Professor Watson. 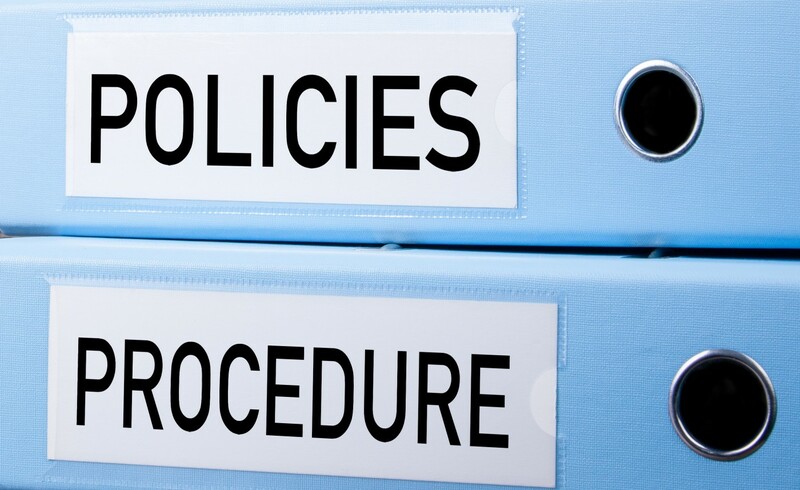 As the blog has a relatively simple structure, additions and amendments can be made quickly. It has just been overhauled with a new look and revisions and more entries. “PRDepiction has grown over the years and become more international. 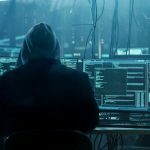 The latest additions include TV series in Australia and the UK, and a three-book series on a fashion PR guru from Australia,” said Professor Watson. Additions can be sent to PR Depiction as blog Comments or to twatson@bournemouth.ac.uk. The blog also has a Twitter address, @PRDepiction. Authors come from 21 countries and include first-time contributions from Mauritius, Norway, Portugal and Switzerland. The largest group of papers is from the U.S. (10), followed by UK (8), Germany (4) and Turkey (4). Since 2010, Professor Tom Watson of the Faculty of Media & Communication has been developing a productive teaching and research association with Leipzig University in Germany. 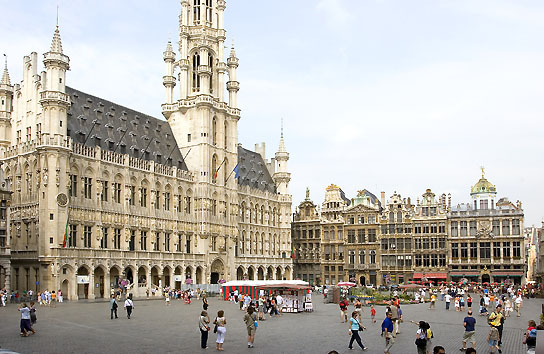 Following a successful application to the FIF Erasmus fund, he will be making his fourth visit in June 2015. As Leipzig’s research on communication management is Europe-leading, headed by Professor Dr Ansgar Zerfass, research-based material for teaching to BA (Hons) Public Relations and MA Corporate Communication students will result from the visit. Professor Watson will also gain insights on the teaching of communication management for BU’s new MA Corporate Communication. 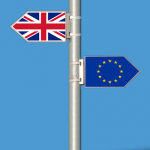 Working with Emeritus Professor Dr Günter Bentele on the history of PR in Western Europe will lead to publications and conference papers, and development of new archival resources. The visit will also aid the objectives of the European Public Relations History Network (EPRHN), which was formed by Professor Watson and Professor Dr Bentele and others, through investigation of archives at Leipzig. New research publications which will result from the two researchers’ joint work on the history of European public relations in the three decades after World War II. Lectures and seminars on corporate social responsibility, management of communication performance, and quantitative research methods for MA and PhD students. 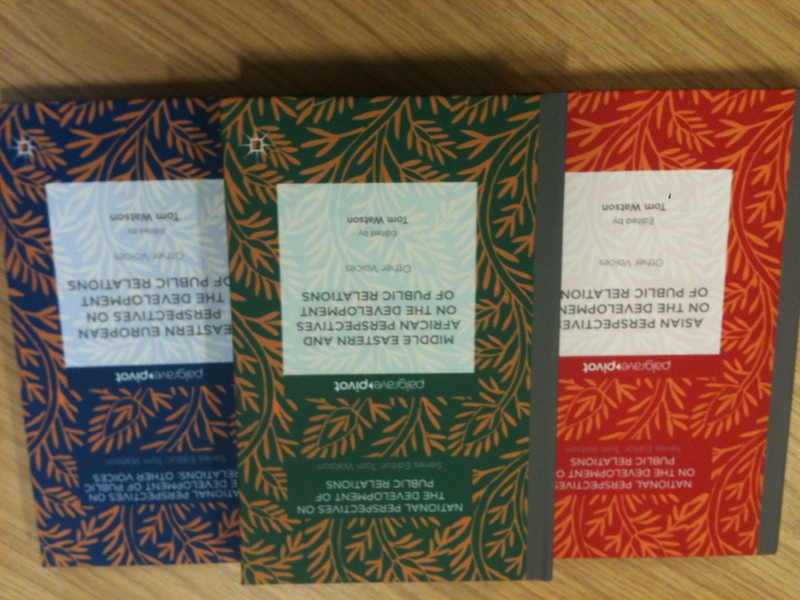 The third book in Professor Tom Watson’s edited world history of public relations series, Middle Eastern and African Perspectives on the Development of Public Relations: Other Voices, has arrived. Ten chapters from Turkey to South Africa and the Arab Gulf to Nigeria are covered by 14 authors. The next book in the series, Latin American and Caribbean Perspectives, is due for online publishing by Palgrave Macmillan in its Pivot series next week. The hard copy will follow in 3-4 weeks’ time. And the manuscript on Western European Perspectives will be submitted next week, too. Busy times for PR history scholarship and publishing! 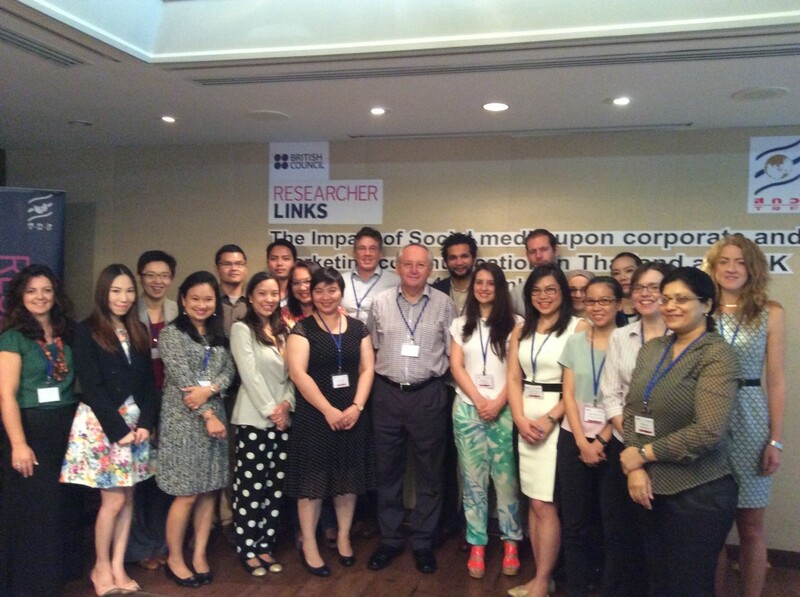 Working with partners at Bangkok’s Chulalongkorn University, a team from BU led and participated in a British Council Researcher Links Workshop in Bangkok from November 2 to 4. For Professor Tom Watson of the Media School and Associate Professor Jirayudh Sinthuphan of Chula’s Faculty of Communication Arts, it was ‘mission accomplished’, as the Workshop had been postponed twice in February and May because of Thailand’s febrile politics. “This time, there were no problems as Bangkok was about as quiet as it will ever be,” said Professor Watson. “As a result, the Workshop was attended by representatives of four UK and seven Thai universities who worked very well together”. From the three days of collaborative working, four projects related the Workshop theme of ‘the impact of social media upon corporate and marketing communication in Thailand and UK’ emerged. 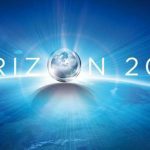 They will be developed over the coming months into research actions, bids for funding and publications. With Professor Watson were Associate Professor John Oliver (Senior Researcher), Dr Ana Adi (Deputy Workshop Coordinator), Dr Tauheed Ramjaun and Mona Esfahani, all from the Corporate & Marketing Communications academic group. Among the Thai participants was Dr Waraporn Chatratichart of the University of the Thailand Chamber of Commerce, who is a PhD alumna from the Media School. Following the very successful first International Corporate and Marketing Communication in Asia Conference (ICMCAC), held in November 2013, Chulalongkorn University and Bournemouth University are again providing a scholarly platform for research into Asian perspectives of corporate and marketing communication in all forms and time scales. The conference will be conducted over two days (January 29 and 30, 2015) with a keynote speaker on both days. It is organised by a partnership of two leading research and teaching universities in the field of corporate and marketing communication with the aim of creating an Asian perspective in research and scholarship. Advertising, corporate communication, marketing communications, mass communication, media and public relations researchers as well as educators and graduate students from Asia and Australasia are invited to submit abstracts for paper and poster presentation at the 2nd ICMCAC. Researchers from outside these regions are most welcome to submit abstracts with cross-cultural or Asian perspectives. Professor Tom Watson is BU’s conference leader and organiser for ICMCAC. Professor Watson said the first conference had drawn papers from 10 countries ranging including many Asian universities: “It was the start for development of Asian perspectives in the fields of corporate and marketing communications, and associated area of research”. General papers are welcomed on a range of topics, as well. The deadline for submissions is: Friday, October 24, 2014 to comira@chula.ac.th. The venue for the conference is the Pathumwan Princess hotel, near to Chulalongkorn University and the National Stadium rail station. In a contribution to the international PR Measurement Week, regional practitioners attended an evening training session in The Media School on September 16. The public engagement event was organised by Professor Tom Watson and Wessex Chartered Institute of Public Relations (CIPR) chair Natasha Tobin, who lectures part-time on the BA Public Relations programme. It was attended by 14 CIPR members, who also gained CPD points for their annual professional training quota. The practitioners were shown basic media measurement techniques using an Excel utility which Professor Watson has developed. 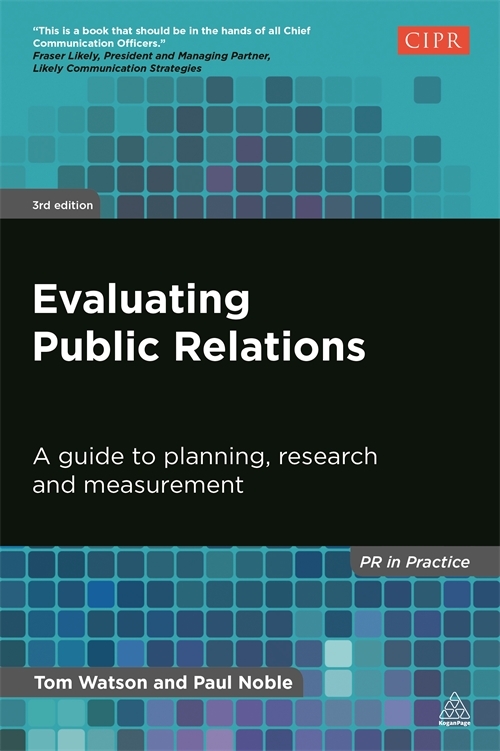 It features in the third edition of ‘Evaluating Public Relations’ (Kogan Page 2014) co-written with former BU lecturer Paul Noble. Measurement Week has been organised around the world by the Association for the Measurement and Evaluation of Communication (AMEC) and has the support in the UK of CIPR and the Public Relations Consultants Association (PRCA, which both recognise BU’s public relations courses. Since June 30, Professor Natalia Rodriguez Salcedo of the University of Navarra in Pamplona, Spain has been a visiting scholar at BU, based in the Corporate & Marketing Communications academic group in The Media School. During a four-week period, she has undertaken detailed research in the archive of the International Public Relations Association (IPRA), which was the first major PR association established in Europe in 1955. 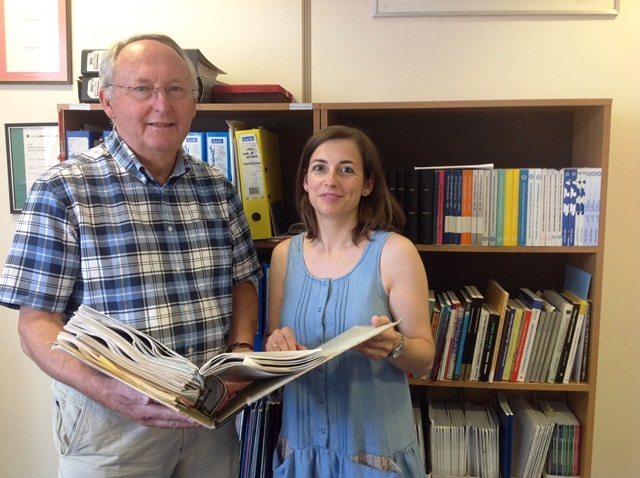 The IPRA archive was developed by Professor Tom Watson in 2011. It is an important source of information about PR’s evolution in the immediate post-World War 2 world and the field’s international expansion in the second half of the 20th century. “Archives like that of IPRA are always difficult to find and provide essential material for PR historians,” said Professor Rodriguez Salcedo. She has also undertaken research at BU’s Library, including its special collection of historic PR books. As a result of her research, she and Professor Watson are exploring future research collaboration on the development of the PR sector in Europe, especially philosophical and practices approaches that evolved separately from the US. 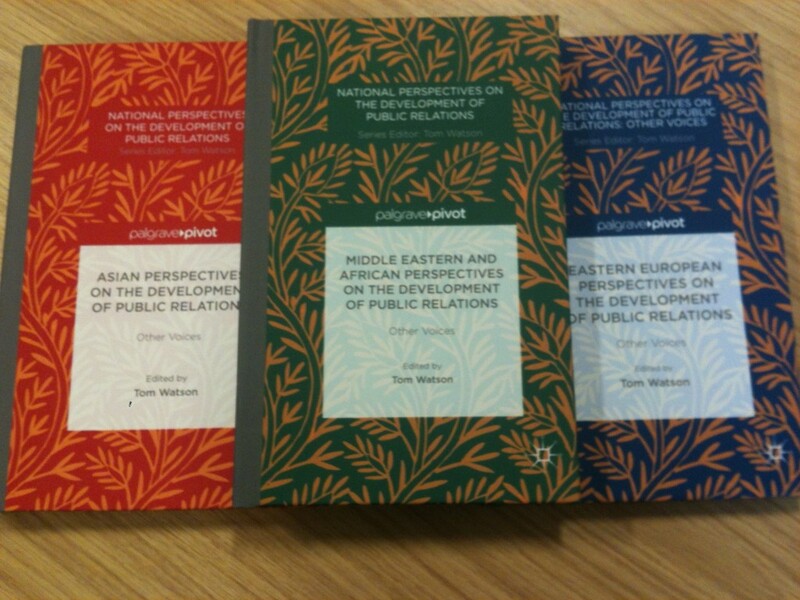 Professor Rodriguez Salcedo also observed Professor Watson’s editorial and reviewing roles in developing a six-book series, ‘National Perspectives on the Development of Public Relations’ which is being published by Palgrave-Macmillan. She will be a contributor to the fifth book of the series, ‘Western Europe Perspectives’, with a chapter on the history of public relations in Spain. During her stay Professor Rodriguez Salcedo, who is a member of the European Public Relations History Network, attended the 5th International History of Public Relations Conference at BU on July 2-3, at which she delivered a paper on the formation of the first Spanish PR consultancy and chaired a conference session. The International History of Public Relations Conference (IHPRC) celebrated its fifth birthday on the first day of the 2014 conference on Wednesday, July 2. 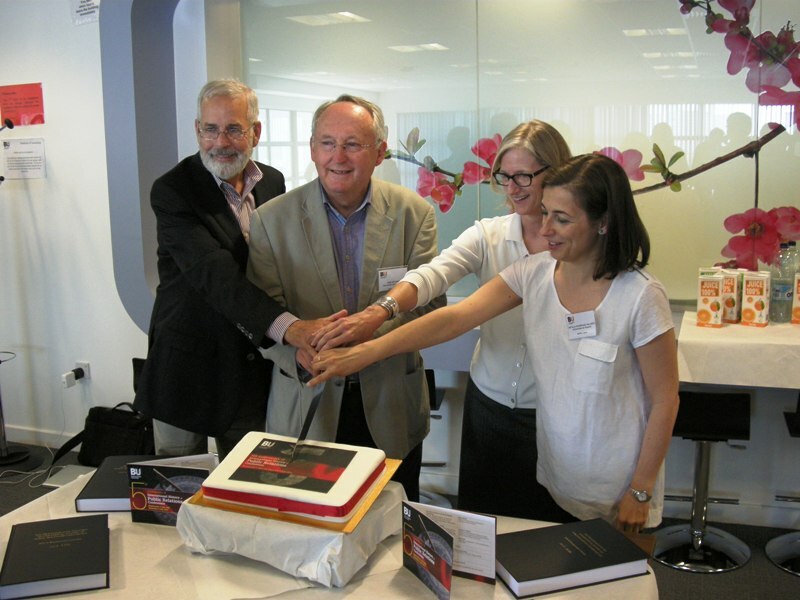 The conference chair, Prof Tom Watson, was joined in cutting the celebration cake by Prof Don Wright (BostonUniversity), Associate Professor Meg Lamme (UniversityofAlabama) and Associate Professor Natalia Rodriguez Salcedo (UniversityofNavarra), who were members of an advisory panel consulted on the establishment of the conference in 2009. The conference, which was opened by the Dean of The Media School, Stephen Jukes, has been attended by delegates from more than 12 countries. Some 33 papers and a Keynote Panel have been presented. More than 150 papers have been offered by delegates from 30 countries in the past five years. The conference has established the field of PR history and spurred a big growth in journal and book publishing, with two more books launched at the 2014 conference. Planning is already beginning for the 2015 conference to be held on July 7-8. 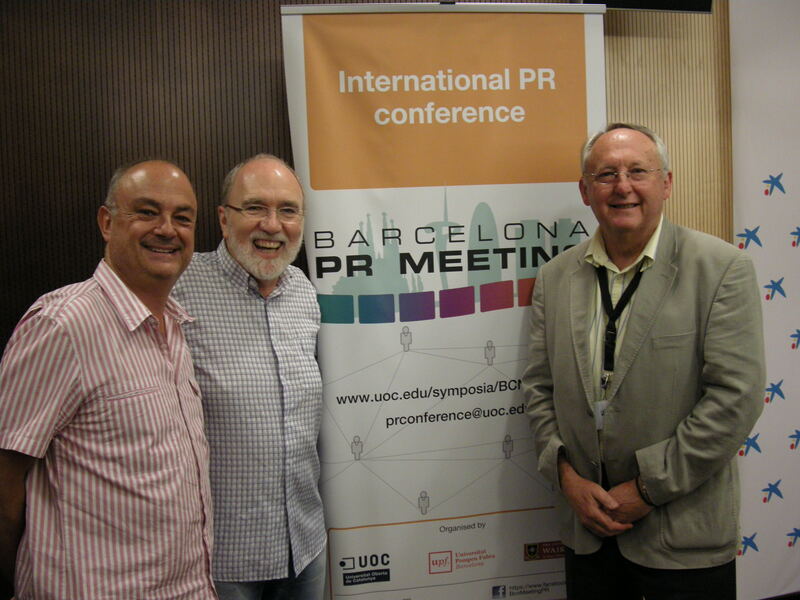 Dr David MacQueen and Prof Tom Watson of The Media School both chaired panels and presented papers at the PR Meeting #4 conference in Barcelona last week. The conference, which features research on critical approaches to public relations and strategic communication, had a focus on ‘intelligences’ this year. Dr McQueen chaired a session which included fellow speakers from the the US, Spain and New Zealand. His paper, jointly authored with Graeme Baxter of Robert Gordon University, considered community resistance to corporate power in Scotland and Ireland. Prof Watson presented a critical review of repetitive research issues in PR, in a session which also included speakers from Australia and Sweden. On the final afternoon of the conference he was a panel speaker on academic writing and publishing. Delphi method is an unsung qualitative research technique used for investigating complex issues. It was the subject of one of The Media School’s Prof Tom Watson’s teaching actions during his Erasmus visit to Leipzig University in Germany last week. He was hosted by Prof Gunter Bentele and Prof Ansgar Zerfass of the university’s Communication Management Research Institute (Instituts KMW), who are also co-researchers with him. “Delphi method has been little used in PR and Communication Management research. 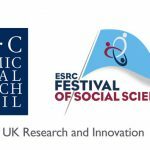 So this was an opportunity to present it to a group of Early Career Researchers and PhD students,” said Prof Watson who used it for an international study of PR research priorities in 2007/08. Other actions during Prof Watson’s Erasmus visit, supported by the British Council and a FIF SMN selection, were two seminars to Masters students on PR history and PR measurement as well as mentoring meetings with PhD students. Leipzig University has been an Erasmus partner of BU for the past four years. It has one of Europe’s leading communication management and PR research teams, with an international reputation. 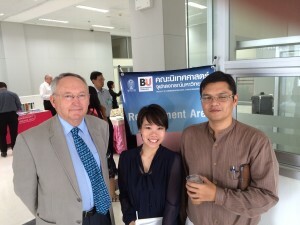 Professors Bentele and Zerfass have both visited BU under the Erasmus banner. Students have also come from Leipzig to BU for six months’ study on the MA Public Relations. Research on the measurement and evaluation of public relations campaigns was presented by Professor Tom Watson (Media School) at an industry event in Sydney on Tuesday. Prof Watson was the lead speaker at the Measurement & Evaluation Briefing organised by the Public Relations Institute of Australia (PRIA) in Sydney. 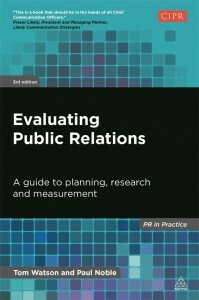 He focused on the latest models of communication performance management and other developments that are reported in the soon-to-be published third edition of Evaluating Public Relations which he has co-authored with Paul Noble. “There was a full house at the PRIA Briefing and it was a great opportunity to discuss practice-led research and brief delegates about Bournemouth University, which is seen as a world player in PR research,” he said. The audience were mainly practitioners from agencies and in-house operations. Also speaking were Prof Jim Macnamara of University of Technology Sydney and John Croll, CEO of iSentia, the largest communications analysis firm in the Asia Pacific region. 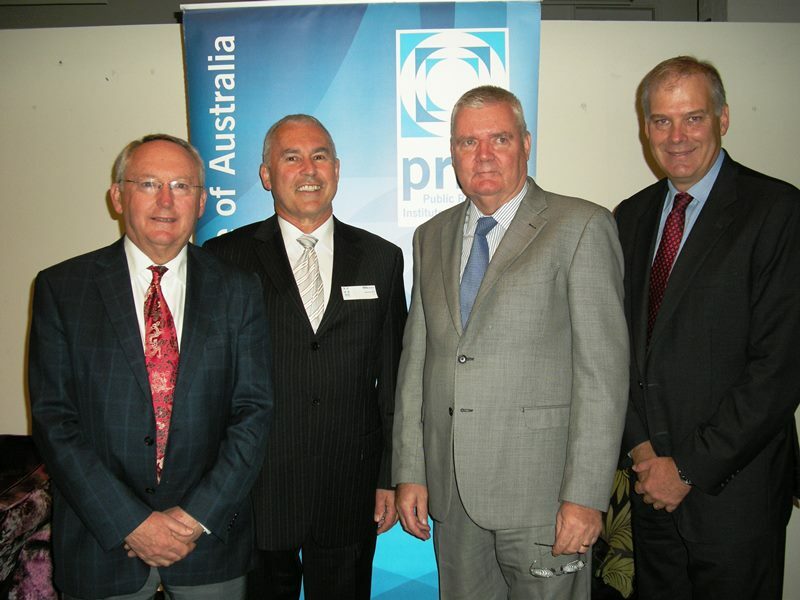 It was hosted by Mike Watson, the PRIA national chair who had flown in from Melbourne especially for the briefing. In the previous week, Prof Watson gave a public lecture at Macquarie University in Sydney on the CSR checklist which he has developed. It was attended academics and students from three universities. This was the Australian launch of the CSR checklist, which has been developed from research undertaken in the Public Relations Research Group.